Carrera Evolution - Scale 1:32. Sylvanian Familes. Tamiya RC Cars. Sylvanian Families. Plastic Model Kits. Hornby Trains Sets. Digitally Upgradeable With a Carrera Digital Chip. Model No: 27574. NEW MINT BOXED. - Spare Shallow Guide. - 1:32 Scale Slot Car. MANUFACTURER REFERENCE: 27194. CARRERA EVOLUTION. ALL CURRENT CARRERA CARS HAVE NINCO, SCALEXTRIC, SCX AND CARRERA. 1:32 SCALE SLOT CAR. STUNNING IN MATT BLACK. BEST PRICE AROUND. A CRYSTAL BOX TOP. CARRERA digital 124 - 1:24 scale - 23791. 1" - new original box. The car is new, never used and original boxed. Suitable for Carrera Exclusiv Digital and compatible to Carrera Exclusiv. Marke Carrera Digital 124. "P. di Resta, no. 3". Carrera Digital 124 . The full Carrera range in. Marke Carrera. Tuning rear - high grip - Tuning Guide keel. Mit Tuning Reifen, Motor, Magnete und Leitkiel! With front light (Xenon) and rear lights with brake light function. Diecast cars 1/43. 1/72 scale aircraft. Prices are based on weight of item. 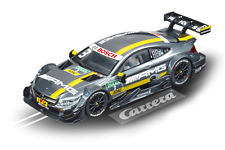 New listingTop Tuning Carrera Digital 124 - Mercedes SLS AMG Gt3 - " Petronas "
"Petronas, no. 28". Carrera Digital 124 . The full Carrera range in. Marke Carrera. Tuning rear - high grip - Tuning Guide keel. TOP Tuning . Magnetic tuning - super power magnets for TOP cornering speeds! The car is new, never used and original boxed. Suitable for Carrera Evolution. Upgrade to Carrera Digital with a decoder is possible. Suitable for all Carrera evolution railway. digital upgrade. Model No: 27573. - Digitally Upgradeable With a Carrera Digital Chip. NEW MINT BOXED. - Spare Shallow Guide. - 1:32 Scale Slot Car. "G. Paffett, no. 2". Carrera Digital 124 . The full Carrera range in. Marke Carrera. Tuning rear - high grip - Tuning Guide keel. With front light (Xenon) and rear lights with brake light function. Suitable for all Carrera digital 143 railway. The car is new, never used and original boxed. Suitable for Carrera digital 143. Marke Carrera Digital 143. Modell Carrera Digital 143. Carrera Evolution 27235 MERCEDES C DTM 2007 " Schneider "
It is possible to upgrade to digital. Marke Carrera Evolution. MANUFACTURER REFERENCE: 27164. CARRERA EVOLUTION. ALL CURRENT CARRERA CARS HAVE NINCO, SCALEXTRIC, SCX AND CARRERA. ABOUT THE SLOTOUTLET CREDIT CARD. Carrera Digital D124 23795. The Erebus Motorsports Bathurst 2013 winner. Issued 2014. THIS ONE IS TRULY STUNNING. Career 25421. MILLE MIGLIA 1955. (Triang, Exin, Tico, order, Scx, Planet Toys, Openslo, Tecnitoys, Fly, Borras, Scalextric). ALL TEMPOGRAFIADOS CARS. WE SEND PARCELS ALL OVER THE WORLD. FEATURES: SCALE 1:32. Marke Carrera Evolution. Maßstab 1:32. Modell 25787. Carrera 27356 - Mercedes Benz W125 'Stromlinie' AVUS 1937 - Brand new in Box. Code No - 27356 'AVUS 1937'. Carrera Slot Car. Never removed from plinth. Very Difficult Car to find in this Condition . Digitally Upgradeable With a Carrera Digital Chip. NEW MINT BOXED. Model No: 27545. - Spare Shallow Guide. - 1:32 Scale Slot Car. 27382 New 1/32. 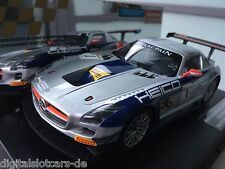 CAREER Nercedes-Benz SLS AMG GT3. (Triang, Exin, Tico, order, Scx, Planet Toys, Openslo, Tecnitoys, Borras, Scalextric, Carrera, fly, Ninco etc. NEW WITH BOX NEW IN BOX. EXACT REPRODUCTION OF THE ORIGINAL. ). MANUFACTURER REFERENCE: 27165. CARRERA EVOLUTION. ALL CURRENT CARRERA CARS HAVE NINCO, SCALEXTRIC, SCX AND CARRERA. ABOUT THE SLOTOUTLET CREDIT CARD. Flyslot Ref. Referencia: 202307. MPN 202307. Special Edition. WE SEND PARCELS ALL OVER THE WORLD. SCALE SLOT CAR 1:32 MARK VALID FOR ALL FLY. MANUFACTURER REFERENCE: 27171. CARRERA EVOLUTION. ALL CURRENT CARRERA CARS HAVE NINCO, SCALEXTRIC, SCX AND CARRERA. 1:32 SCALE SLOT CAR. FANTASTIC VALUE FOR MONEY. CREDIT CARD. FLY SLOT REF 202309. MPN 202309. Hard to get model. Manufactured with all the details, both exterior and Interior, just like the original, included pilot. Edition limited to 350 units. The car is new, never used and original boxed. Suitable for Carrera digital 132 and compatible for Carrera evolution as well. Not for use for Pro-X. Compatible with the analogue evolution car. Not for Pro-X. MANUFACTURER REFERENCE: 27196. CARRERA EVOLUTION. ALL CURRENT CARRERA CARS HAVE NINCO, SCALEXTRIC, SCX AND CARRERA. 1:32 SCALE SLOT CAR. STUNNING IN MATT BLACK. BEST PRICE AROUND. A CRYSTAL BOX TOP. MANUFACTURER REFERENCE: 27193. CARRERA EVOLUTION. ALL CURRENT CARRERA CARS HAVE NINCO, SCALEXTRIC, SCX AND CARRERA. 1:32 SCALE SLOT CAR. MATT BLACK. BEST PRICE AROUND. A CRYSTAL BOX TOP. Us is the correct one, and that the receipt. is located (benefit-of-the-doubt principle). is done under the suspensive. the country in which the respective. mandatory provisions of the law of. (1) German law shall apply. Is located (benefit-of-the-doubt principle). by the conclusion of the contract. sending of all the details necessitated. your proposed price. is concluded when we accept. of the website and the service. Front and rear light/brake light. Item Weight: 454 g. Date First Available: 6 May 2017. Product gallery. Batteries included?. Batteries Required?. Scale: 1:24. CARRERA EVOLUTION. DRIVER No 2. 1;32 SCALE. EXCELLENT DETAIL. A MUST FOR EVERY COLLECTOR. 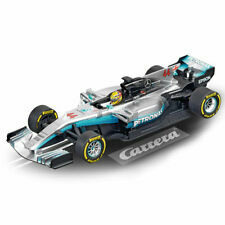 Mercedes-Benz F1 W08 "L.Hamilton, No.44" - Evolution Cars - CA27574.